Democratic U.S. Sen. Chris Murphy won his widely expected re-election victory over Republican challenger Matthew Corey shortly after the polls closed Tuesday night. 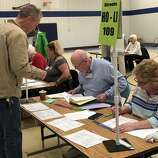 The Associated Press immediately called the race when polls closed at 8 p.m. Officials totals were not available. In an Oct. 30 poll by Quinnipiac University, Murphy lead Corey 56 to 41. The win awarded Murphy, 45, his second six-year term as U.S. senator, following three terms in the U.S. House representing Connecticut’s fifth district and four terms in the Connecticut General Assembly. 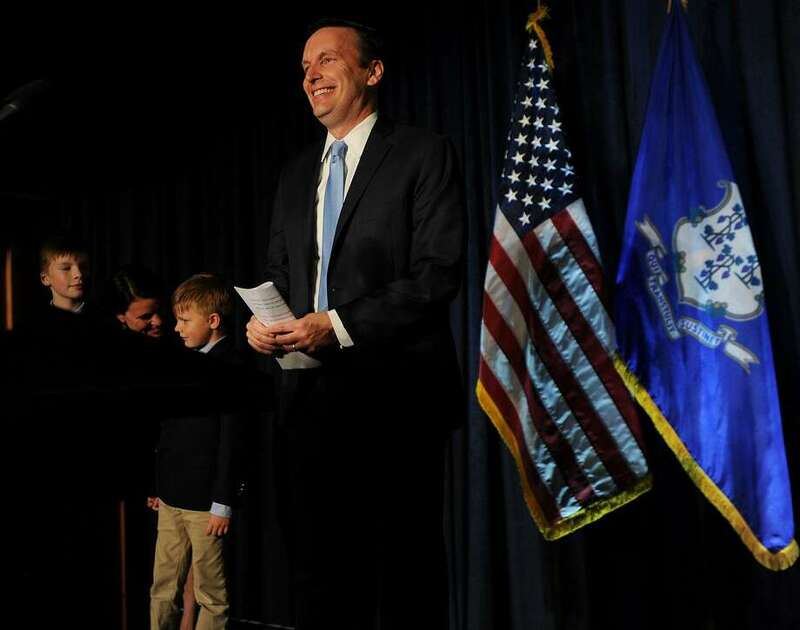 Murphy was joined by his wife and two children at a Democratic Election night reception in Hartford Tuesday evening. Murphy, a Cheshire resident, is an outspoken leader for gun control in Congress. The deadly shooting at Sandy Hook elementary school occurred in his congressional district in 2012. “Tonight, we have a chance to say loud and clear that the gun lobby is no longer in charge of our gun laws,” Murphy told a cheering crowd Tuesday night. Corey, who owns a window washing business in Hartford, tried to use his blue collar background to attract support. Corey, who lives in Manchester, cited his fundraising disadvantage as the reason for the loss, and called on Murphy to pay more attention to Connecticut. With a campaign war chest of more than $14 million to back his re-election, Murphy organized a 24-hour fundraising blitz to help Democrats who back gun control measures and have close races get elected. Murphy also spent significant time campaigning with other Democrats around Connecticut. 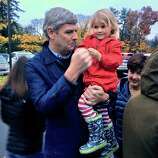 Murphy voted in Cheshire Tuesday morning before crisscrossing the state to visit polling places. He made stops in Westport and Waterbury, among others. He also continued an Election Day tradition of eating lunch at Burger King in Torrington. Corey visited Norwalk, Berlin, Waterbury, Southington, Seymour, Shelton, West Haven, East Windsor and Enfield.